The Cave is a novel of the Vietnam War. Set primarily in a large cave in the mountains of Laos, it was inspired by the author's personal experiences as a crewmember on Blind Bat C-130 flareships combined with his later experiences exploring caves in Northeastern Kentucky. Inspiration came while he was involved in the exploration of Tarkiln Cave, a large cave near the town of Olive Hill, Kentucky. He was driving across Arkansas on the way to Wichita, Kansas for ground school/simulator training at Flight Safety, ICT when the idea came to him. As he continued the drive, he worked out the ideas in his head and began work immediately upon arrival at the Residence Inn with the word processor he had brought with him for the ten-day stay. The story begins in 1955 when ten-year old Toby Carter is exploring a cave on the Tennessee River with his uncle and discovers a previously unknown passage. It picks up again a decade later when he is an Air Force enlisted man, a loadmaster, flying forward air controller/flare missions over North Vietnam and Laos on the then-classified mission known as LAMPLIGHTER/BLIND BAT. The mission was real and Toby Carter's experiences are based on things that actually happened. It is a story of adventure, thwarted romance and near super-human perservance as the young airman manages to save himself and his aircraft commander, who has fallen into the hands of the same North Vietnamese antiaircraft gunners who shot them down. 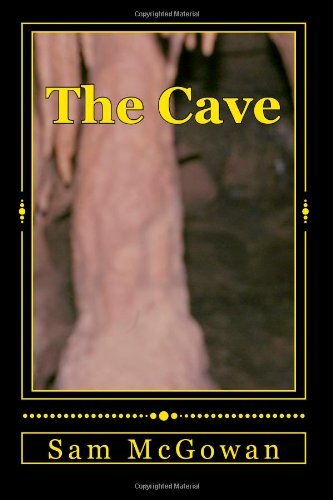 The Cave is available from online booksellers such as Amazon.com and Barnes and Noble or direct from the publisher. Digital copies are available for Kindle and Nook. It can also be ordered through commecial bookstores.